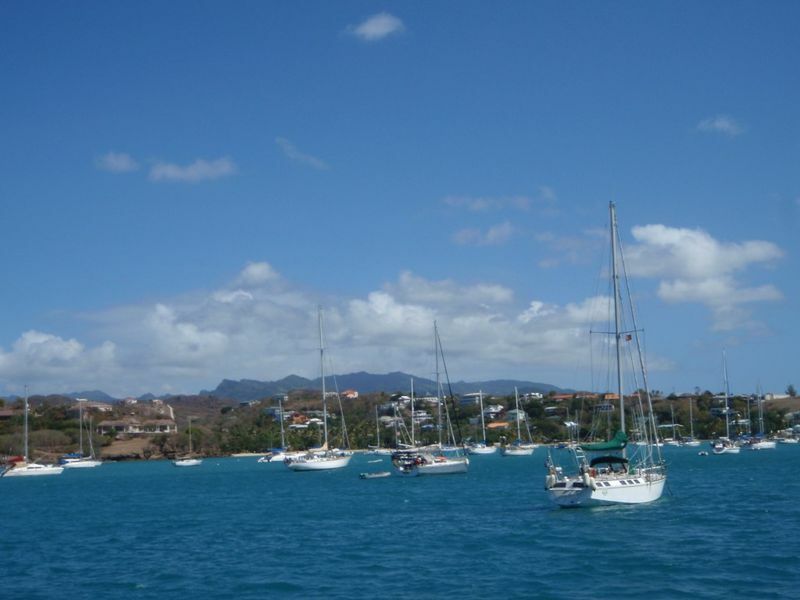 We arrived on Grenada after a 93 nautical mile motorsail against wind, waves and current. I attempted sailing at first, but when the current was so strong that I was only able to sail at a whopping 1.5 knots and in a very unfavorable direction, I said “forget it”, fired up the iron topsail and set a direct course. We pulled into Prickly Bay shortly after sunrise. I have to admit that it was with a huge sigh of relief that we did so. Sailing against the wind, waves and current in the windiest month is no joke and I’m actually a bit proud to have pulled it off. 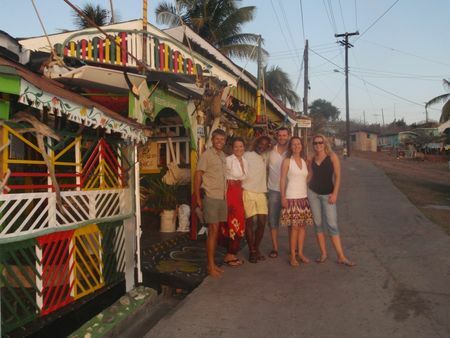 Now I was in Grenada, ready to do my third, and for the moment, last charter of this Caribbean stay. I had a few things to take care of before the charter guests arrived. The boat was in a bit of a mess after 2 weeks of relatively hard sailing. First and foremost I had to celebrate my birthday. The celebration was split in two. 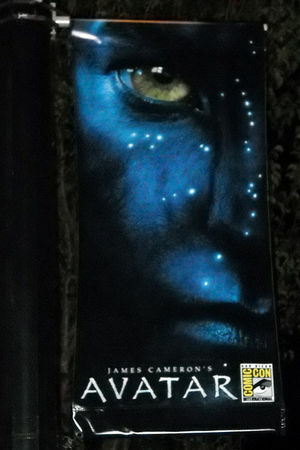 On the first day (Sunday), when both Claudia and I were dead tired, we went and saw Avatar. I saw it in 2D and can only imagine what 3D will look like. It was AMAZING. I loved it from beginning to end. On the following day, which was my actual birthday, we had a nice dinner at “De big fish”. Besides celebrating I had my hands full fixing and buying things for the boat. My top priority was fixing the broken sail. In the end the best option wasn’t repairing it, because it was a bit too damaged, so instead I switched all the sail hardware from that sail to my brand new Quantum sail. 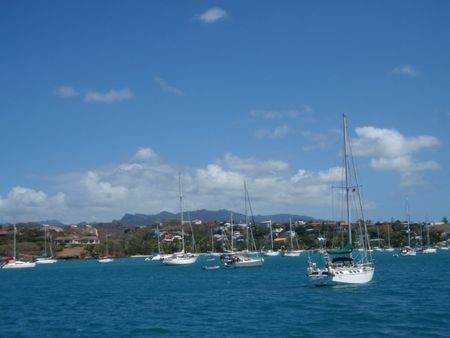 I’ll get the old sail repaired on Bequia, so that I have a back-up sail for the Pacific. I also had my gennakers inspected and repaired, so that they would be ready for down-wind sailing. In addition I bought a new bridle. For those unsure what a bridle is, it is what you use to distribute the load your anchor chain is holding from your windless (anchor winch) to your boat. It also acts as a shock absorber, because there is stretch in the nylon rope, so it takes away the pulls you get if you’re just on anchor chain. I bought a 1″ (24mm) 3-strand nylon rope that I will use, together with metal thimbles and new shackles. When I assemble it, you’ll be able to lift my boat up by the bridle. I also installed two inspection hatches underneath the nacelle between the trampolines, because I need to re-attach the trampoline tracks, because they had been screwed in with normal screws instead of bolts with washers. With the track firmly attached I can finally change the trampolines. 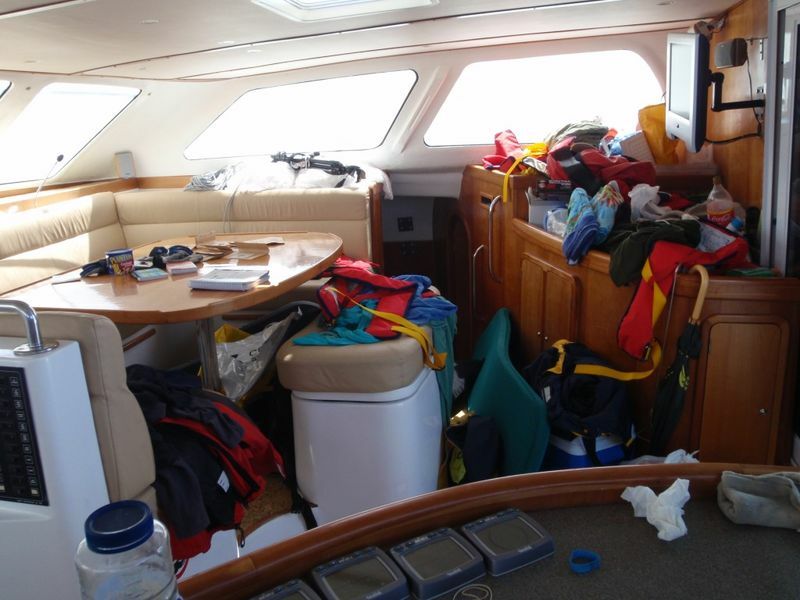 Claudia did a great job cleaning up and organizing the interior, so that I could focus on the boat. Time flew and before I knew it, it was time to meet and greet the new charter guests. 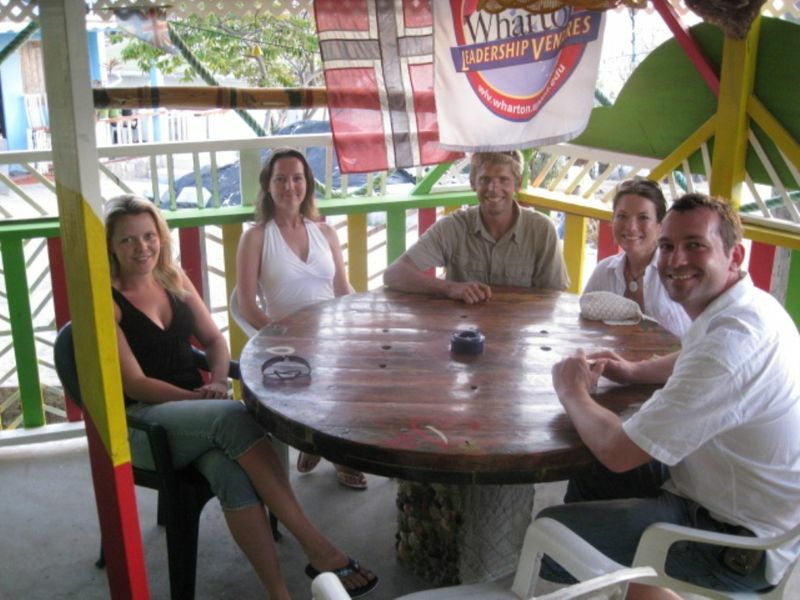 I met my new charter guests: Therese, Elisabeth, John Helmer and Andreas by De Big Fish. After dropping off the luggage onboard we headed straight to the supermarket to provision. It took a few hours and when we were finished, it looked like we had purchsed the entire store. 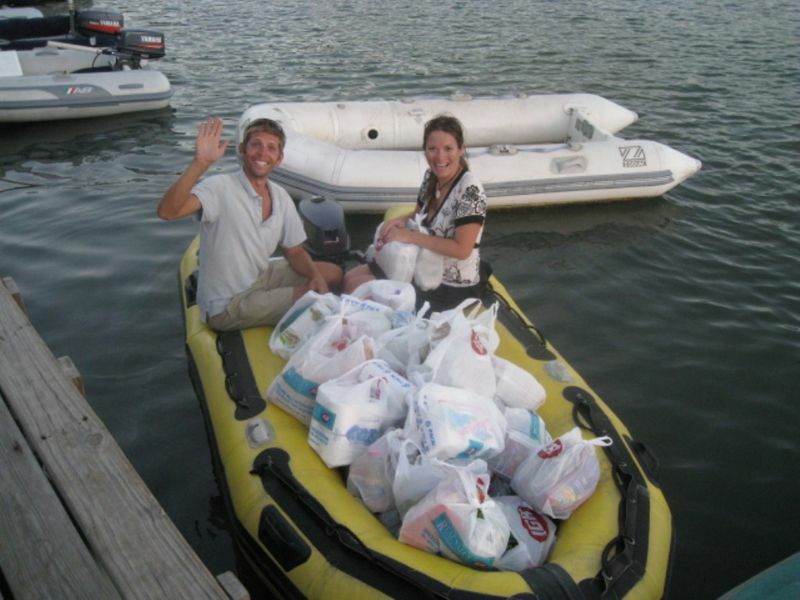 It certainly felt that way when we put all the bags into the dinghy. Claudia made dinner and then we relaxed onboard, chatting and getting to know each other. It was nice to have charter guests all around my age. The next morning Andreas and I picked up the mainsails from Turbulence, the sail loft that was helping with my sails. We had to help fit the battens, which turned out to be a Hell of a job, because the batten-pockets were so tight, due to the sail being brand new. We needed to saw all the battens to make them fit, but in the end we were in business. I was VERY happy I tried the battens for the first time at the sail loft and not on the boat. 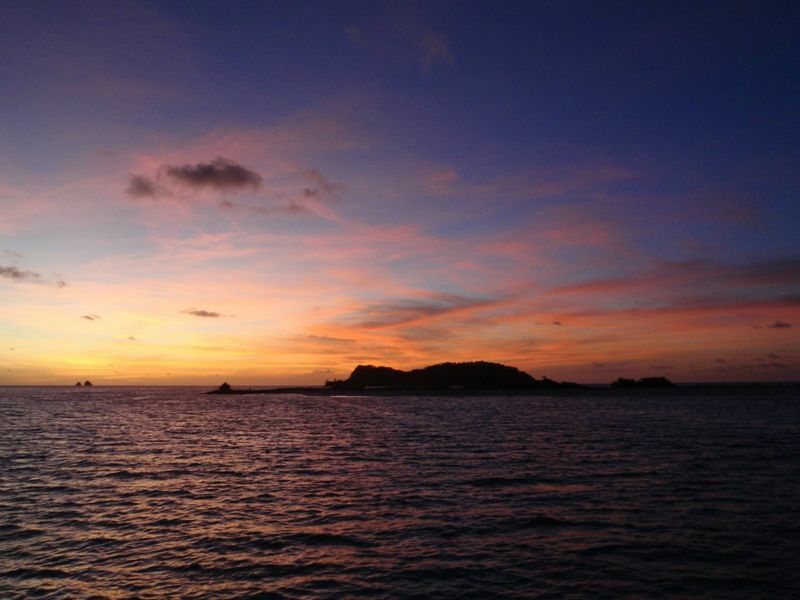 When we returned to the boat, we immediately headed over to the fuel dock, before we exited Prickly Bay and sailed to Dragon Bay. It was actually pretty cool to be sailing 5 – 6 knots in 12 – 14 knot winds on just the genoa. On the way there I saw that a big Royal Caribbean ship was docked in St. George’s and to my surprise it was Serenade of the Seas. I hailed them on the VHF and I was happy to find out that Stig Nilsen (a good friend of my father) was Captain onboard. 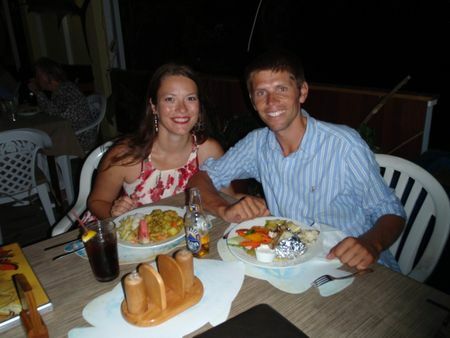 They were casting off when I got a hold of him, but we agreed to meet up on the 17th, when we will both be in St. Lucia. In Dragon Bay we anchored close to shore and went snorkeling. John Helmer and I swam around the point and ended up in the largest school of fish I’ve ever swam in. We were surrounded on all sides by millions of fish. Right before sunset both Andreas and John Helmer helped me mount the new sail … and it looks magnificent. 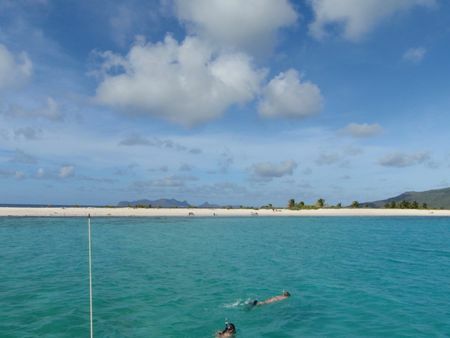 When we lifted anchor the next morning we were planning to anchor right off Carriacou, but when we sailed past Sand Island it was too beautiful not to stop there, so we dropped the sails in a hurry and anchored as close to the beach as we dared before we hopped in to enjoy the water. It was a beautiful little sand island with nothing else but … sand. The next day we continued our journey and after a nice sail dropped anchor just off Clifton on Union Island, which is the southern clearance port for the group of islands named St. Vincent and the Grenadines. We went ashore in Clifton, to clear in, buy some more food and to have a look around. 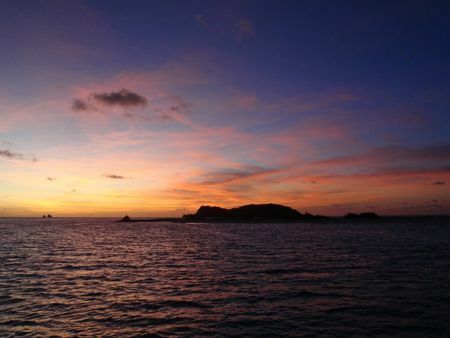 Our original plan was to spend the evening ashore, having a nice dinner there followed by a couple of drinks. 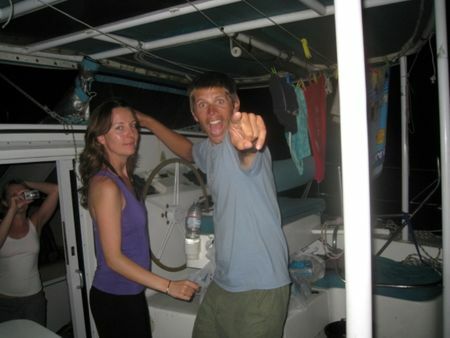 This did not materialize, because we returned to the boat, ate a little snack, started having a couple of beers and decided to play Munchkin and well … time flew and before we knew it, we had downed a bunch of beers, a number of Cuba Libres, even a few Vodka Red Bulls and were dancing swing in the cockpit… Ah, good times. The next morning was a very late and slow one. When we finally got up and got going we hoisted anchor and moved 5 nm to Tobago Keys. Heaven on earth. We went snorkeling and saw many sea turtles, sting rays, as well as tons of different colorful fish. The next morning we hoisted anchor and motored for 30 minutes over to Salt Whistle Bay on Mayreau, but after dropping anchor we agreed thatthere was a bit too much surge there, so we were dancing too much around on anchor. I put everyone except for Claudia and myself ashore on the beach, so that they could explore, while we moved the boat to Saline Bay on the other side of the island. 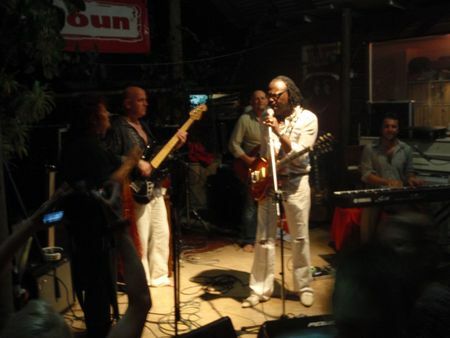 A walk to the top of the island was in order, followed by a sunset drink at Robert Righteous Reggae Bar. After the drink we had a very enjoyable fishmeal at the restaurant at the top of the island, before we retired for the evening. The next morning we lifted anchor early and sailed to Canuan, where we ate a good lunch onboard before we walked up and down the main street in town. 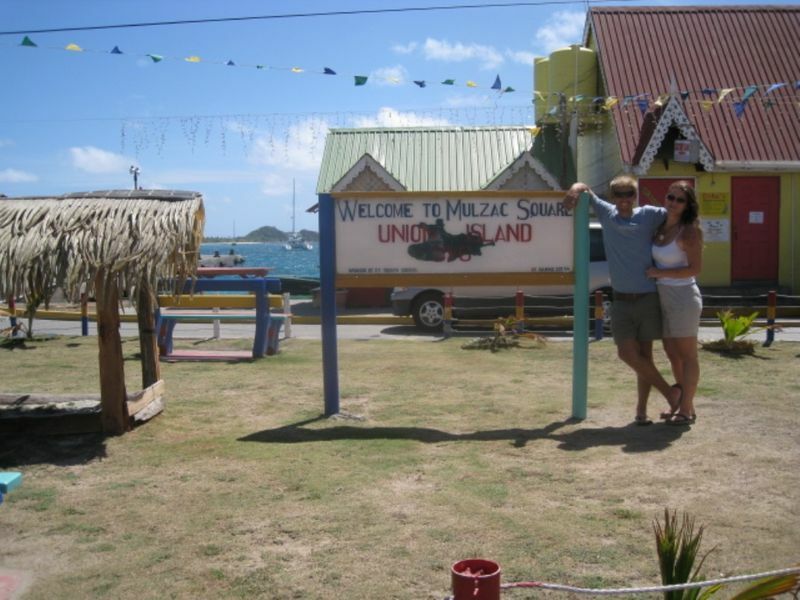 Happy that we’d set our feet ashore, we set sail for Mustique. Mustique is easily my favorite island in the Grenadines. The pace is slow, the island is beautiful and most importantly, there are no crowds there. It’s so nice to walk to a beach and have it to yourself. 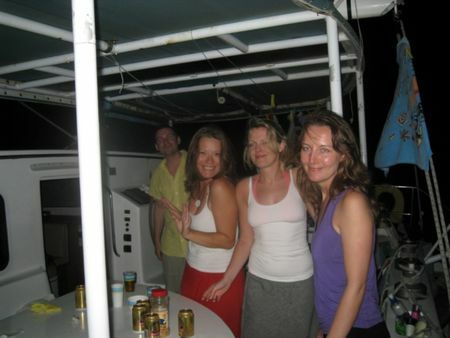 We spent the first night on Mustique on anchor, because we got in too late to get a mooring. Instead of going ashore, we sat up late playing Texas Hold ’em and enjoying a beer or two and possible even a Rum and Coke. The next evening we went exploring the island, before we all put on our nicest and headed in to Basil’s Bar to enjoy the grand finale of the Mustique Blues Festival. 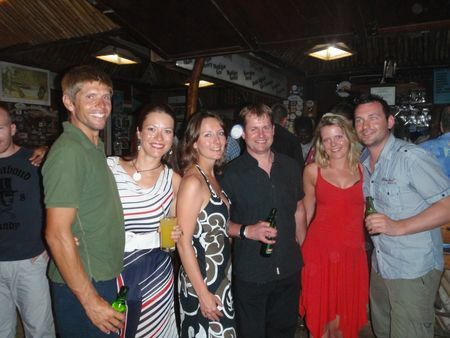 It was a hopping night and we greatly enjoyed the drinks, the atmosphere, the music and the dancing. In short it was a great evening that made for a late morning the next day. A lazy morning led into a nice day walking along the beaches on the Western side of Mustique before we relaxed for the remainder of the day. Tomorrow we’ll head to Bequia, before we take off for St. Lucia, where the charter will end on the 16th. Time is flying. It’s funny to think that in 3 1/2 weeks I’ll be in Panama meeting my brother and the rest of the Pacific crew. Great times are being had right now and I have so much to look forward to as well. I can’t complain!